*** Sunny Phoenix chick is based on my dolls storys from World of Dolls "Anthrogon". There's in Fantasy forest live many phoenix birds. 100% handmade - made by hand, no machine sewing! 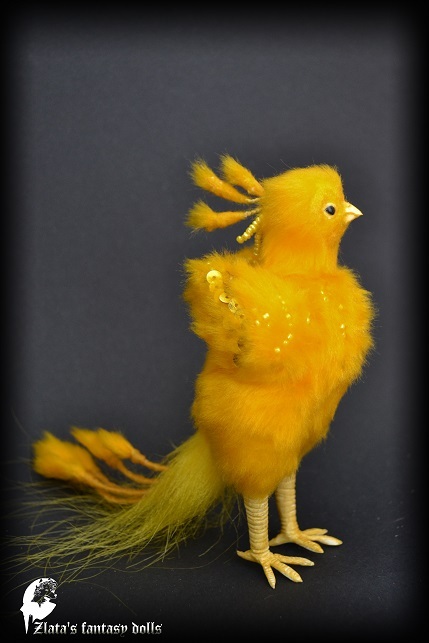 Little Phoenix chick Teddy is 5.5 inches tall, and seated is about 4.3 inches high. 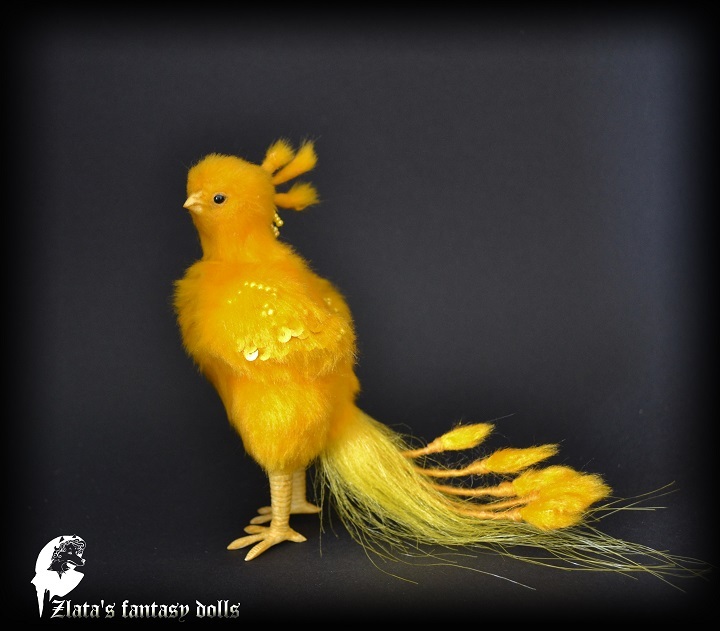 He is made from yellow mohair for her head and body, leg, wings. He will stand and good sitting! Phoenix chick Teddy is movable. * Hand sculpted from polymer clay leg and the head is molded of polyurethane (PU resin) with hand painted eyes. * Stuffed with wadding sintepon.